Like it or not, cold weather is likely here to stay. Grey skies and cold weather can bring the urge to hibernate until warm weather comes back around. There is joy to be found in the colder months of the year. 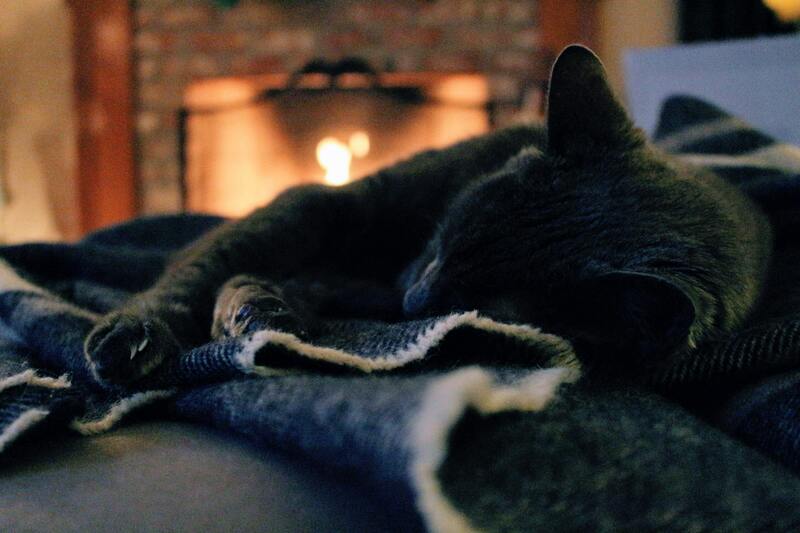 Find our tips to find maximum coziness, warm up, and enjoy the season! As far as cozy and ambiance go, the first thing that comes to mind is soft lighting. If you have a fireplace, get a fire going. Light some of your favorite candles. Fireplace or not, candles provide soft, warm lighting and can offer a great smell to your home. Choose seasonal scents and colors to really enhance the experience. While candles smell great, nothing smells more delicious than a homemade baked good. The smells, warmth, and of course enjoying the delicious treat all add to the experience. Call a friend or family member to join you for a fun afternoon, no matter what the weather outside. Add blankets and throw pillows in varying textures, materials, and colors to enhance your space. Bonus – you’ll have plenty of warm blankets to cozy up with on a chilly night. Master your favorite hot drink. Hot chocolate, hot toddies, coffee, tea. Whatever your favorite hot drink may be, now is the time to play around with ingredients and find the perfect combo. Not much beats a hot drink on a cold day, and you’ll have a go-to recipe to break out when you’re entertaining. Making caramel apples? Pumpkin pies, decorating cut-out cookies, canning, puddle-jumping, sledding. Whatever your favorites are, seasonal activities are a sure-fire way to get you in the spirit and out of any funk the cold weather brings.